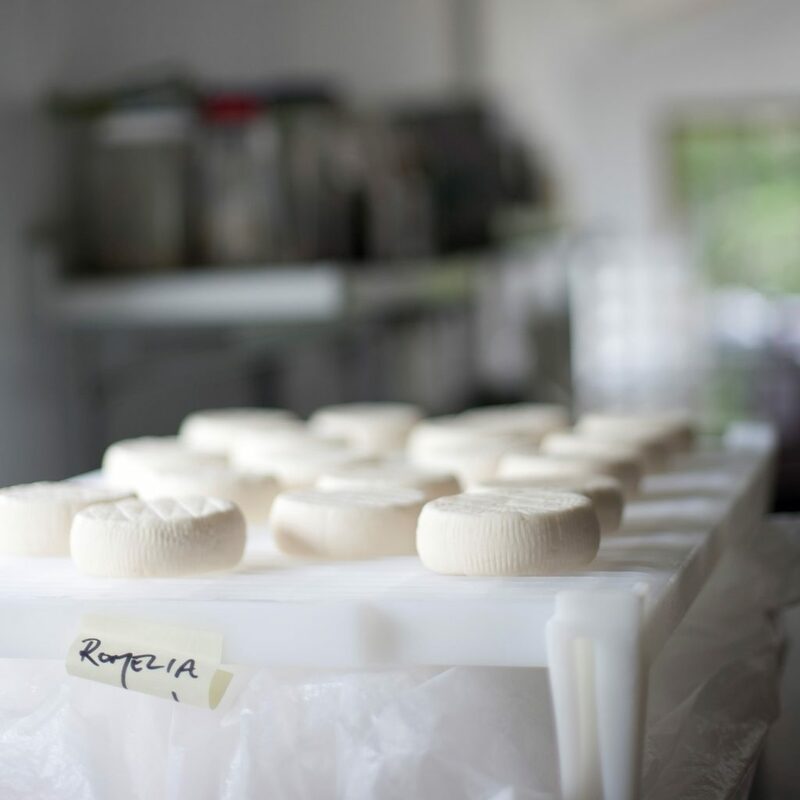 Salt Spring Island Cheese’s handmade Romelia cheese. 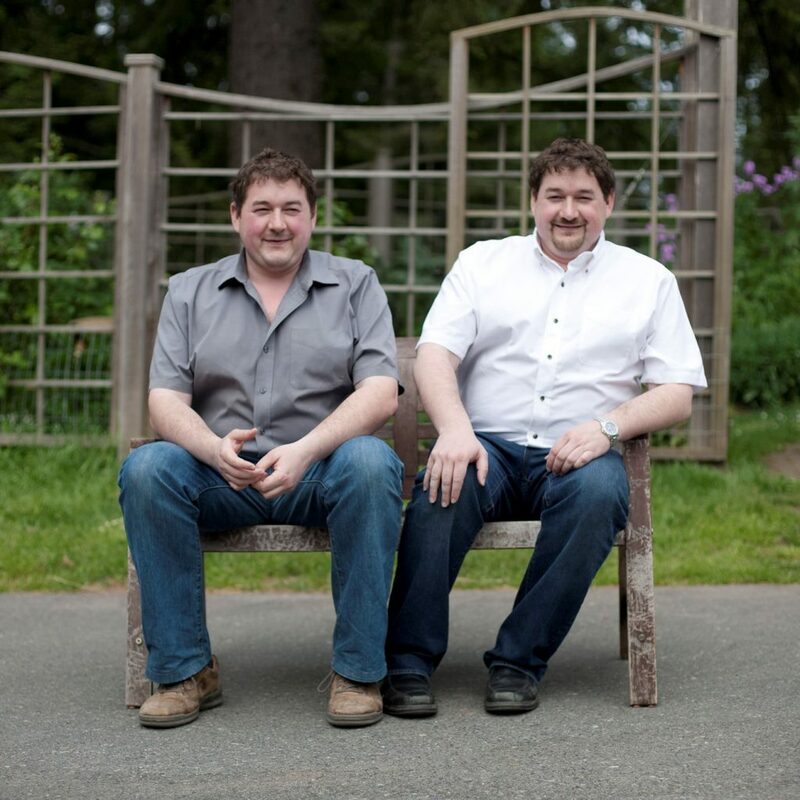 Brothers Joshua and Daniel Wood work on their family’s Salt Spring Island Cheese farm. 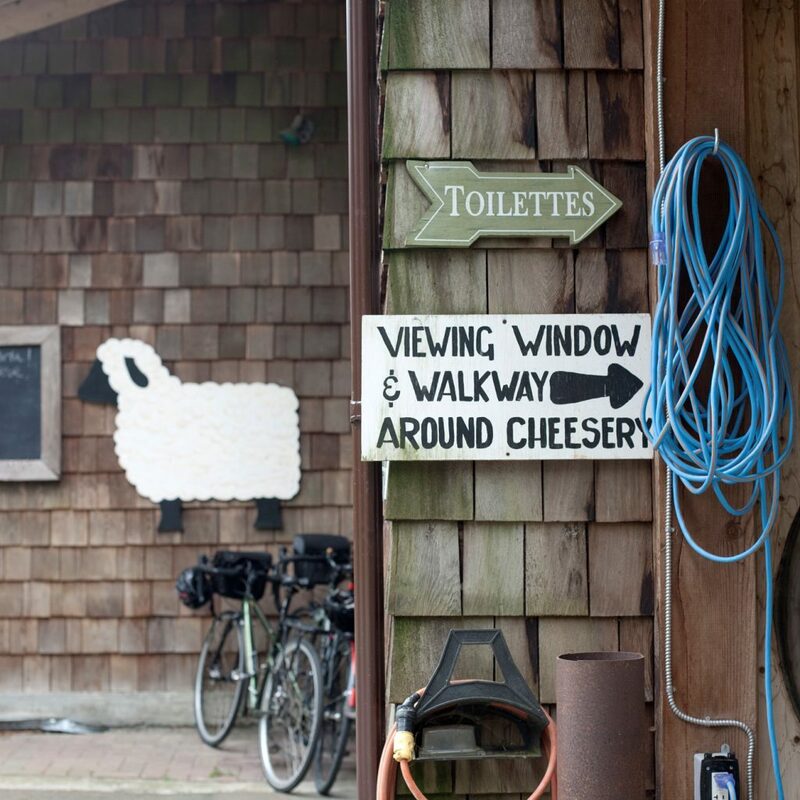 Goats are nestled to the right and behind the Salt Spring Island Cheese’s shop entrance. For safety, cheeses must be tested as they’re made. 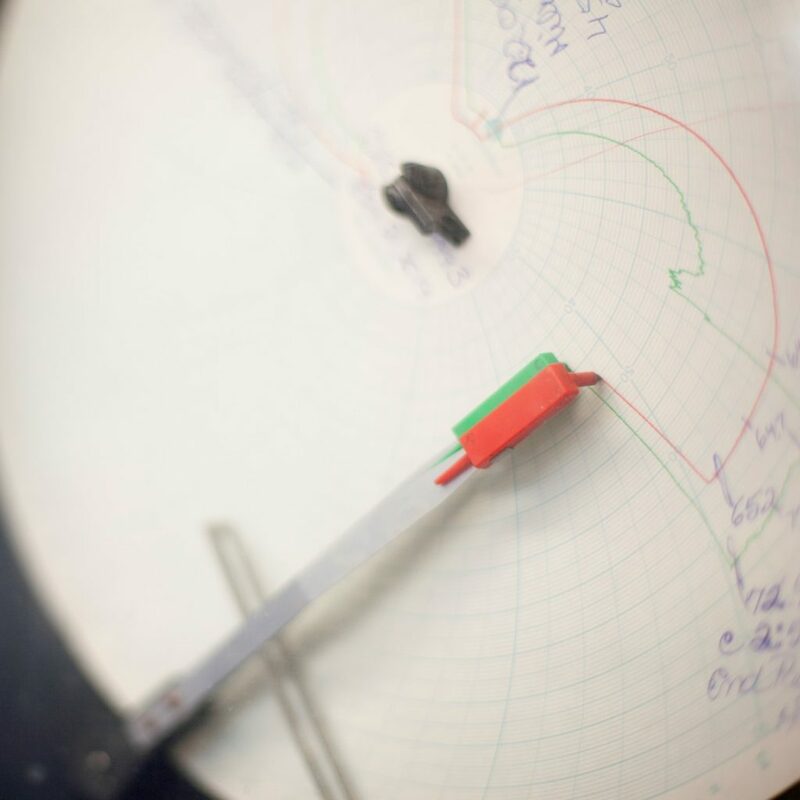 This machine keeps note of the sample’s bacterial levels tested over time. 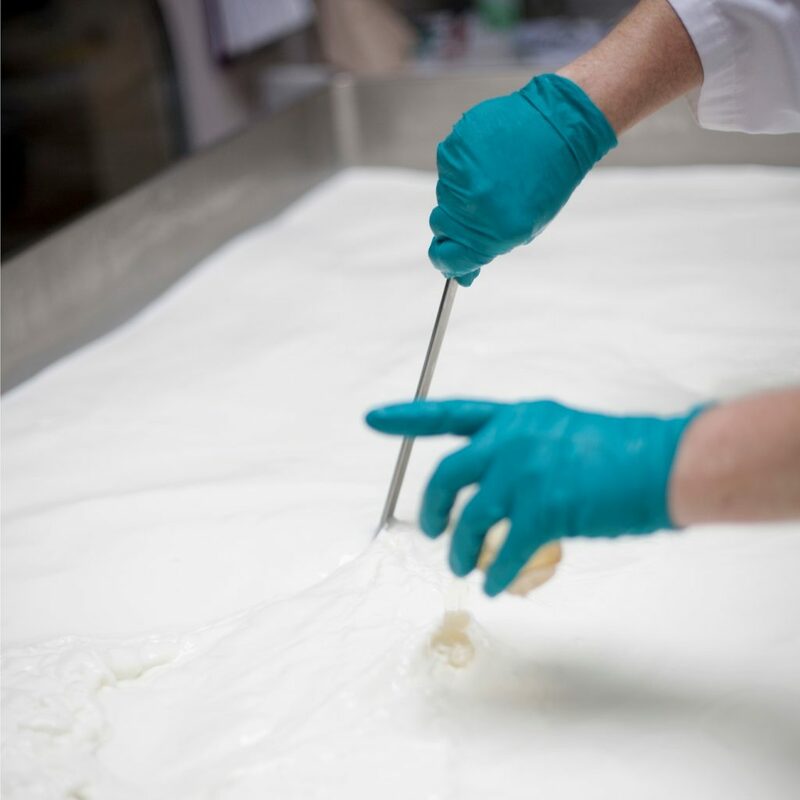 A coagulant is added to cheese by hand onsite at Salt Spring Island Cheese. Romelia (soft cheese) is cured morning to night at Salt Spring Island Cheese. 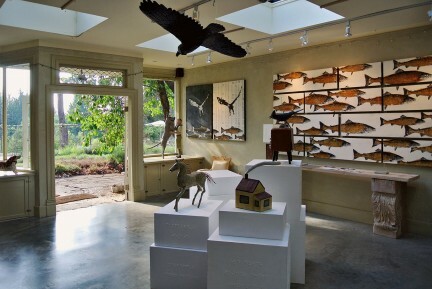 Maureen Drew of Artisan Edibles creates jam pairings to go with Salt Spring Island Cheese. 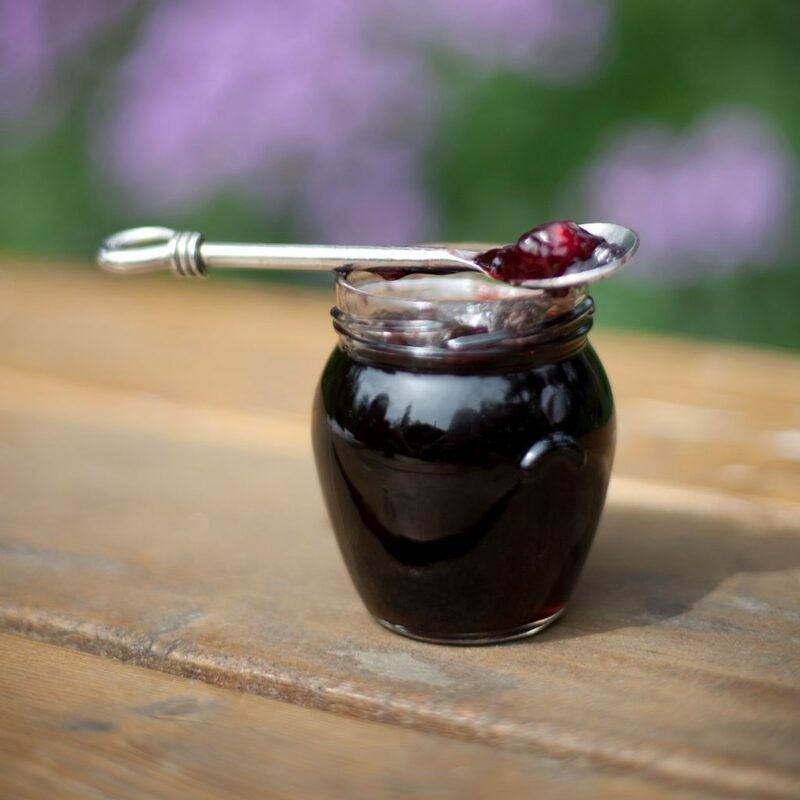 For the Romelia cheese, she created a raspberry cardamom jelly. 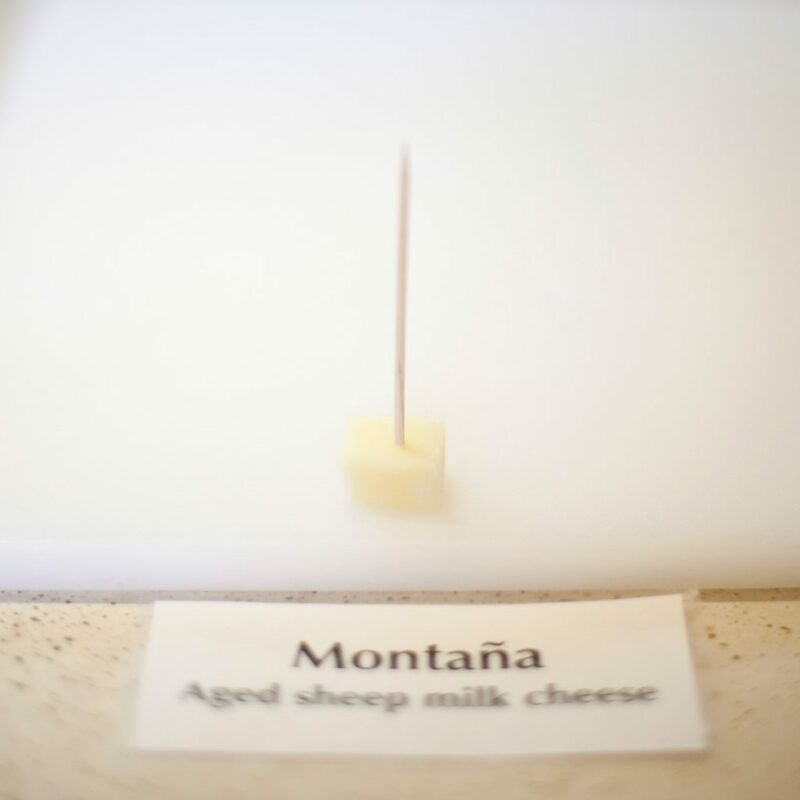 Daniel Wood’s favourite cheese is Montaña, offered here as a sample in the Salt Spring Island Cheese shop on the farm. 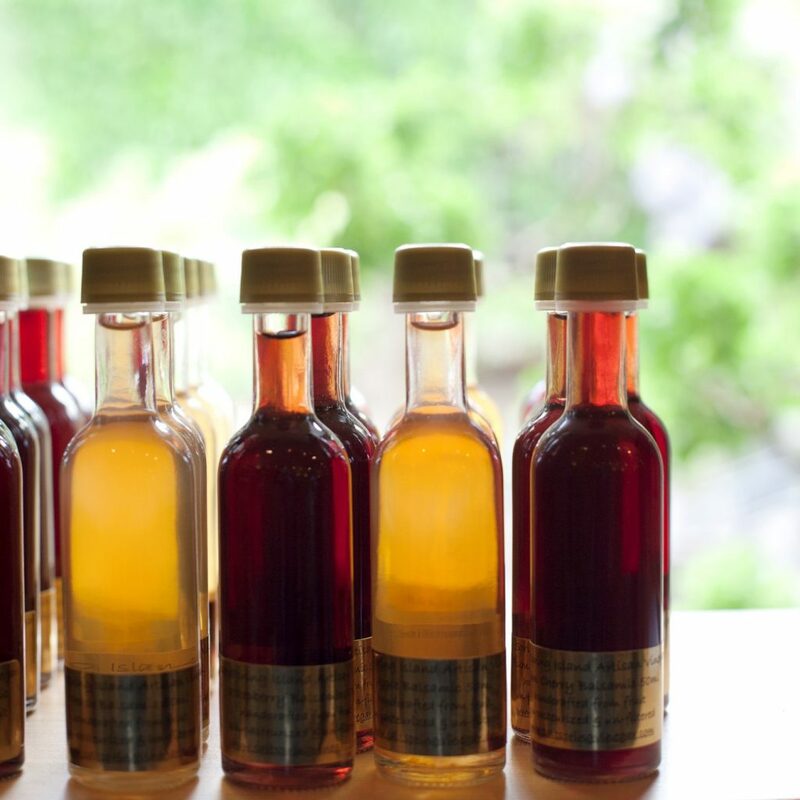 Another local product, Salt Spring Island Artisan Vinegar, is carried by the Salt Spring Island Cheese shop. The greeting one is met with upon arrival at the Salt Spring Island Cheese farm. 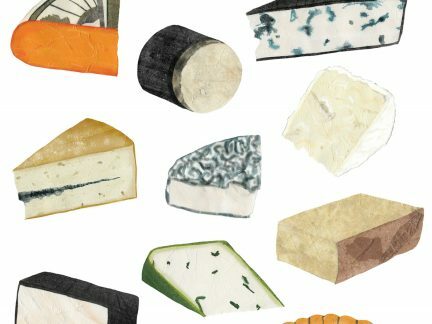 Last year on Salt Spring Island at the weekend farmer’s market, I came across Salt Spring Island Cheese Company. It was so memorable that I went on a mission this year to locate the farm and see what I could learn. 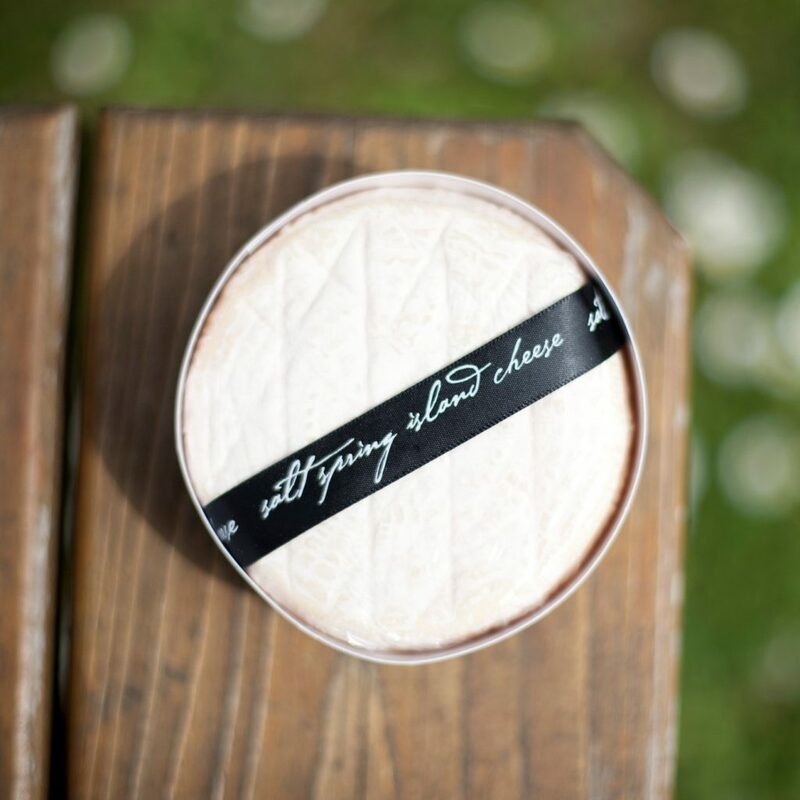 Salt Spring Island Cheese is family-run, founded in 1996 by David and Nancy Wood, who wanted to begin living a sustainable farm family lifestyle after they moved to Salt Spring Island from Ontario. 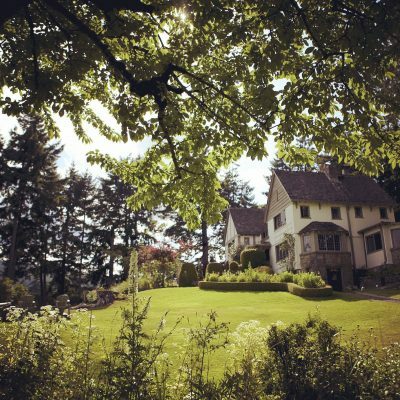 One of their sons, Daniel Wood, whose first job was milking sheep on the farm at 6 a.m. as a teen, showed me the property. 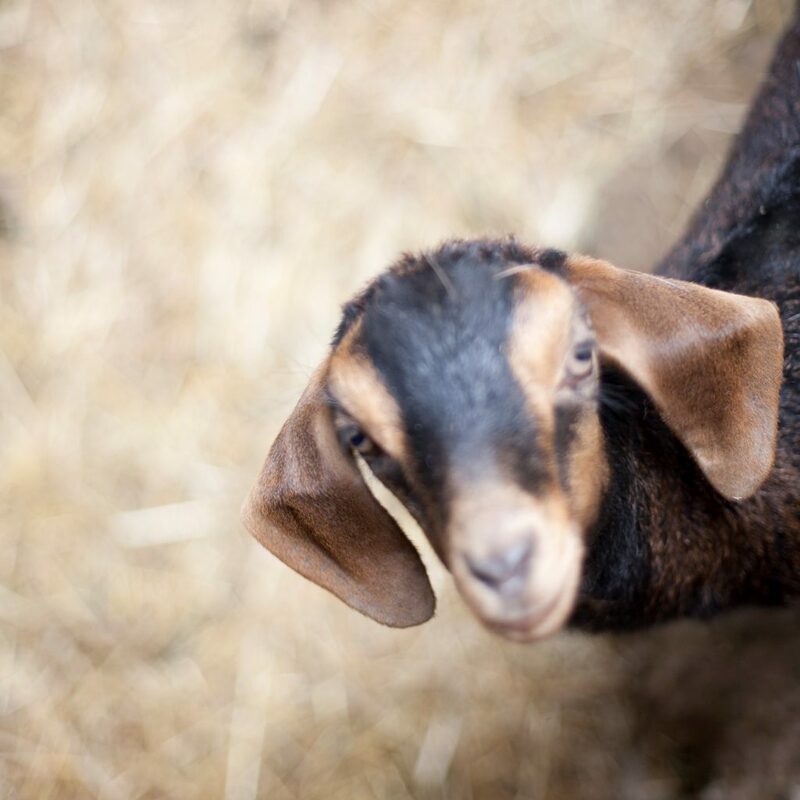 We walked around the small, charming farm, past the goat petting area and through the quaint shop, where one can sample all the cheeses made on site, to the actual cheese-making area, eventually ending up outside in the seated garden area where we lunched on our finds.